Today we are featuring another My Creative Time Favorite Stamp of the Month! This month, it's one of my favorites, Wow! So Many Candles! If this set has been on your wish list, you can pick it up here at a discount price. It's on sale for the entire month of September! The sale ends on September 30, 2016, at 12:00 AM PST. For my card today I made a round card base, using two of the More Stitched Circle Dies. I stamped circles of all different sizes and colors, using the circles stamps from You Are Spot On. I then heat embossed a candle from Make a Wish, using clear embossing powder and Black Onyx Verasfine Ink. I poked holes on either side of the candle with a paper piercer so that I could add a twine bow that would look like it was tied around the candle. 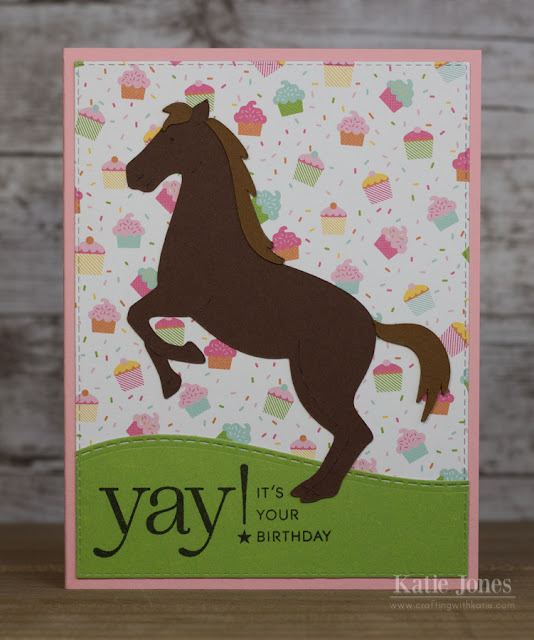 Lastly I stamped and heat embossed one of the many fun sentiments from Wow! 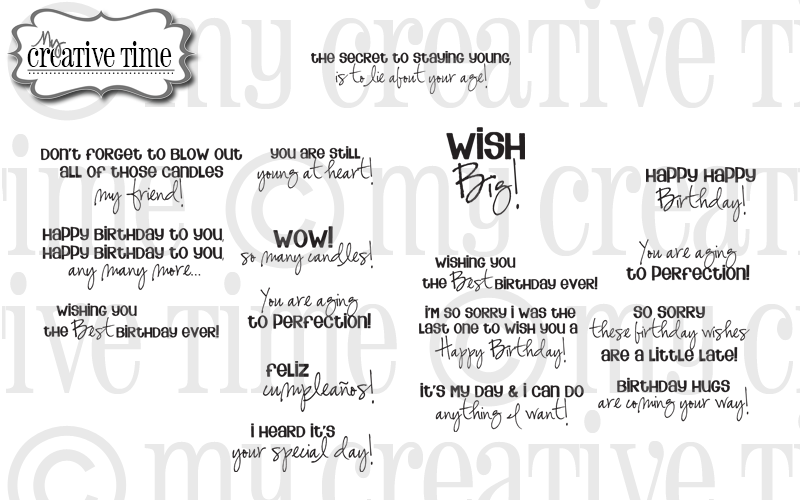 So Many Candles and added a few Papertrey Ink Rainstones to finish off the card. Be sure to stop by Emma's blog for some more inspiration! It's "Do Over" Thursday with My Creative Time! 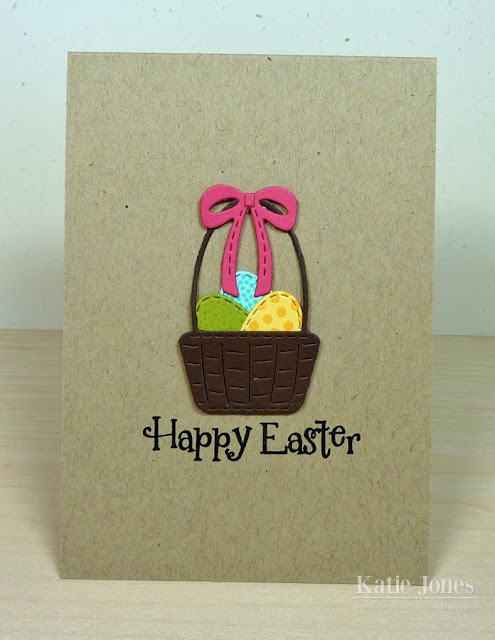 For today's project I took a card that I made for Easter a couple of years ago (you can see it further down in this post) and redid it in a get well theme. 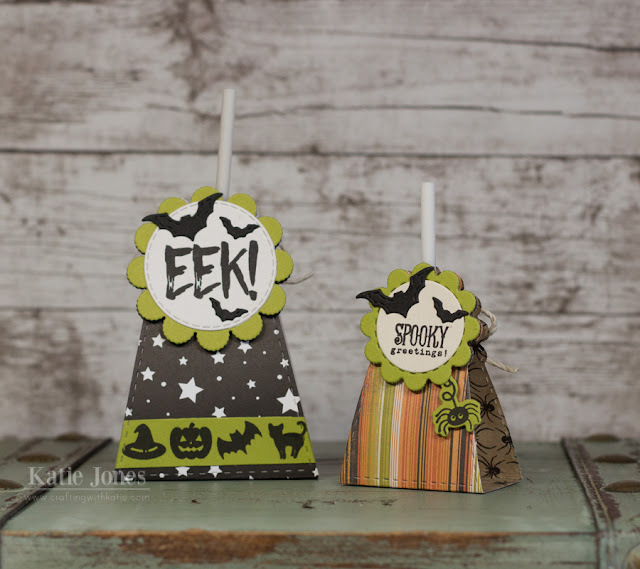 Sometimes with these cute MCT stamp and die sets, a simple card packs a big punch! 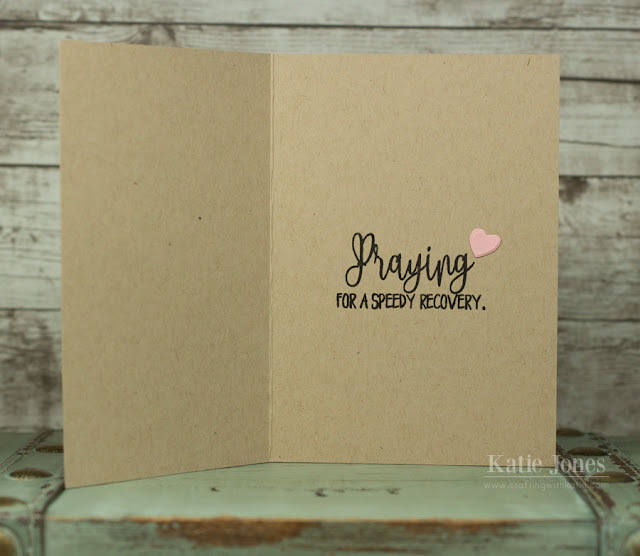 All I did for this card was make a 3 1/2" x 5" kraft card base, add a sentiment from the Ouch stamp and die set. 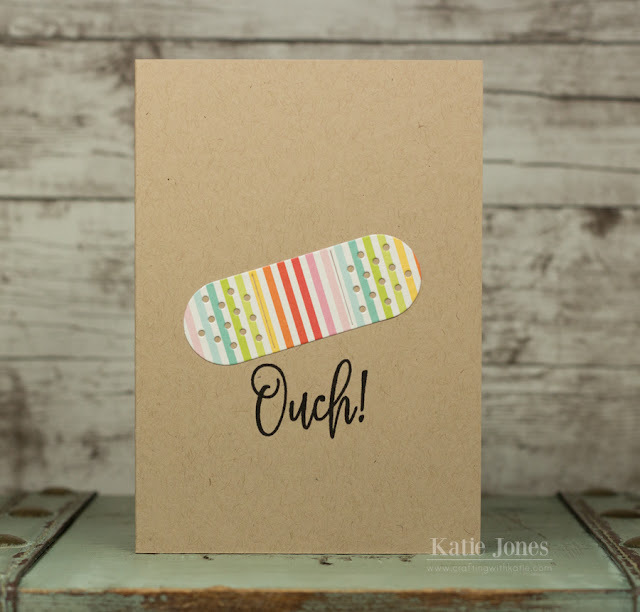 Then I added a cute bandaid that I made from a die in this set and some patterned paper from Echo Park's Sunny Days Ahead collection. On the inside I added another sentiment, plus a little die cut heart, made with another die that is included in this set. 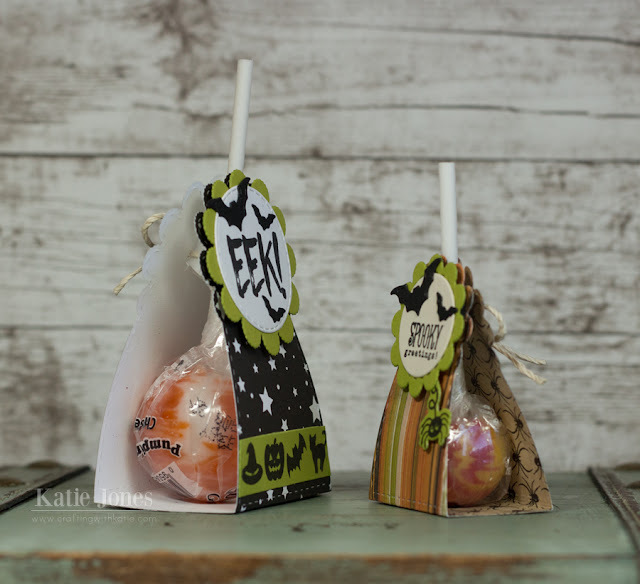 Super simple, but very sweet! Here is my original Easter card I made a couple of years ago with the Hello Chickie! stamp and die set. More details can be found here. Another birthday card for a student today! I love how I can easily personalize a card with my Cricut Explore! Right now I have a month of Cricut Access, so it's easy to find just the right image. The girl whose card I was making loves horses, and I found a cute one on the Old West cartridge. I made a background using some cute patterned paper from Echo Parks' Birthday Wishes (Girl) collection, adding a hill, using one of the My Creative Time More Stitched Edges dies. 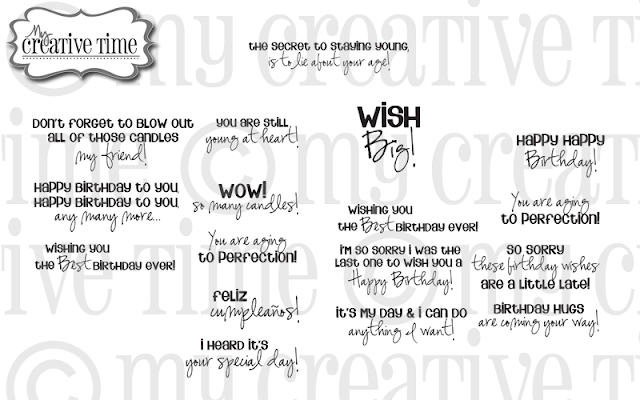 The sentiment is from Papertrey Ink's Stylish Sentiments: Birthday.